Like all cultures, the Indigenous Australian culture has changed and developed over time. 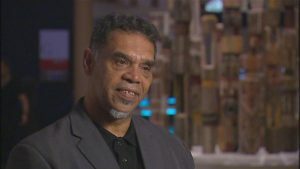 However, the colonisation of Australia brought rapid changes to Indigenous Australian society and dramatically affected the ways Indigenous people lived and communicated. Indigenous languages have been badly affected by these sudden changes, and only around a third of the languages that were spoken pre-contact still have speakers (Henderson and Nash 1997). 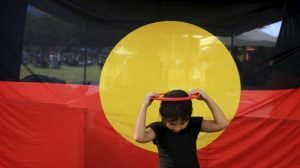 All Indigenous languages with living speakers are considered endangered; the strongest of these languages have approximately 3000 speakers with children still learning the traditional language as their native tongue. Most, however, are highly endangered with only a handful of elderly speakers. The displacement and fragmentation of traditional social and language groups, and language policy that actively discouraged the use of traditional languages in missions and government-run settlements, are some of the key reasons why the language loss has been so dramatic (Walsh 1993). In areas with large long-term settlement, traditional languages are rarely spoken, while in more remote areas some languages remain. In many areas the older inhabitants may be able to speak several traditional languages and will still converse amongst each other when the opportunity arises; the younger people may well understand, or know fragments of their traditional languages but mostly they will converse in modern Indigenous languages, such as Kriol or Aboriginal English. This type of language shift is wide spread and because most of the communities Indigenous people live in are populated with numerous different traditional social groups, there is a trend for one language, usually an English-based form, to emerge as a lingua franca.